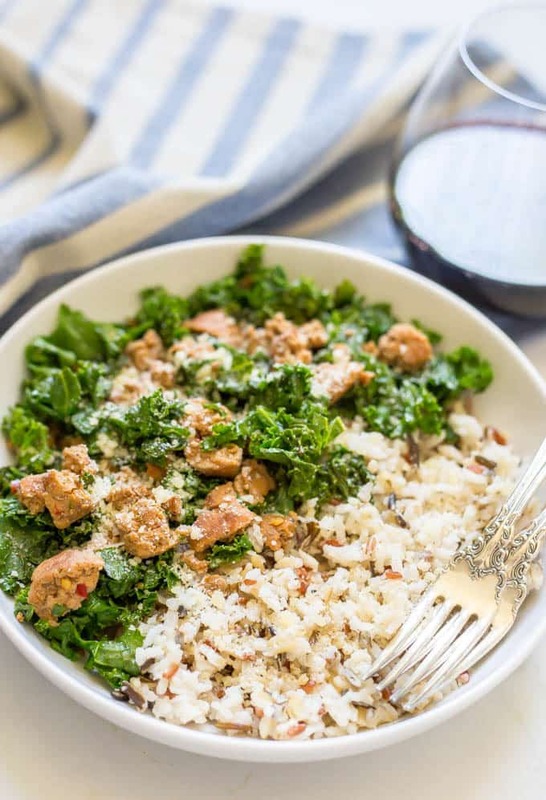 Easy wild rice sausage kale bowl is a 3-ingredient dinner that’s flavorful and filling – perfect for a weeknight family dinner! Today is our first day back at school. M is in first grade this year and J is in the 4-year-old preschool class. How in the heck did that happen?! I know they’ll have a great year but I definitely feel some first day jitters on their behalf! It’s a little easier for J because we know his teacher (M had her too) and he has the same group of friends he’s been with for years. M at least is returning to her same elementary school and has some familiar faces (versus last year when it was ALL new) but I’m still crossing my fingers and toes that she loves her teacher and makes some new friends. 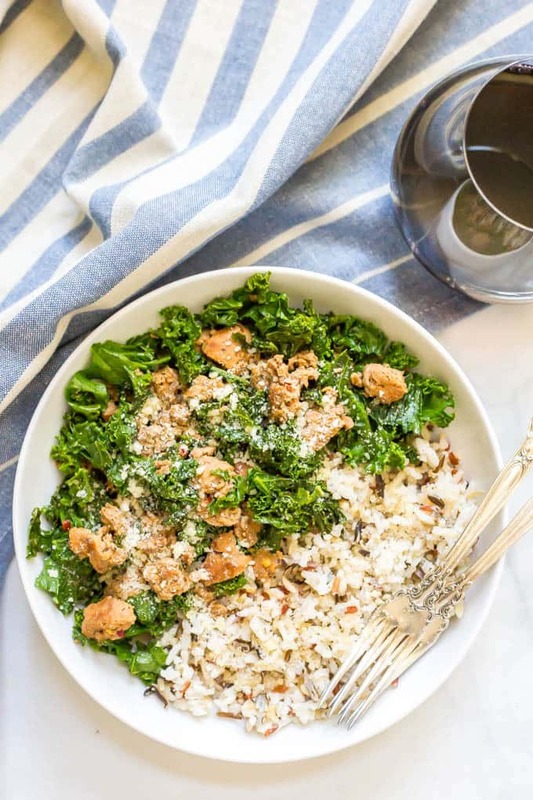 So today’s wild rice sausage kale bowl recipe is one of my super easy weeknight favorites – with pretty much just 3 ingredients! 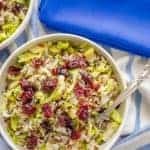 You cook the wild rice and add some seasonings while you sauté some turkey sausage (or use pork) and stir in some kale to wilt down. Plus, this makes for a really hearty, filling bowl. Perfect family eats! I prefer a hot Italian turkey sausage but you can use mild too (which I do sometimes for the kids). You can also substitute pork sausage if you’d rather. Just be sure to drain any extra grease. I love these bowls topped with a little Parmesan cheese, but that’s optional. Wishing you all an easy transition back to the school year. Even if you don’t have little ones, this always seems like a time of year to reset, renew, refresh and refocus, don’t you think? 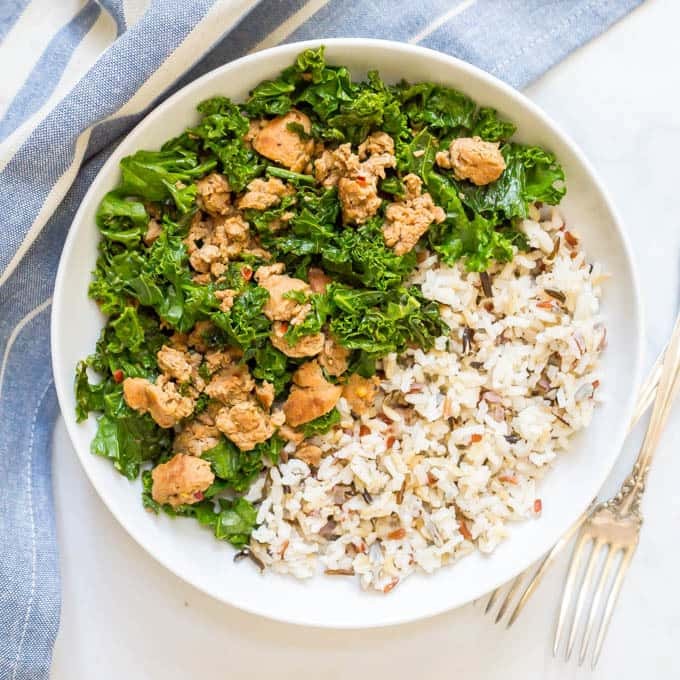 Easy wild rice sausage kale bowl is flavorful and filling and perfect for a weeknight family dinner! Cook wild rice according to package directions. Stir in salt, pepper, garlic and onion powder. Meanwhile, cook the turkey sausage over medium-high heat until well browned, breaking up as it cooks, about 8-10 minutes. 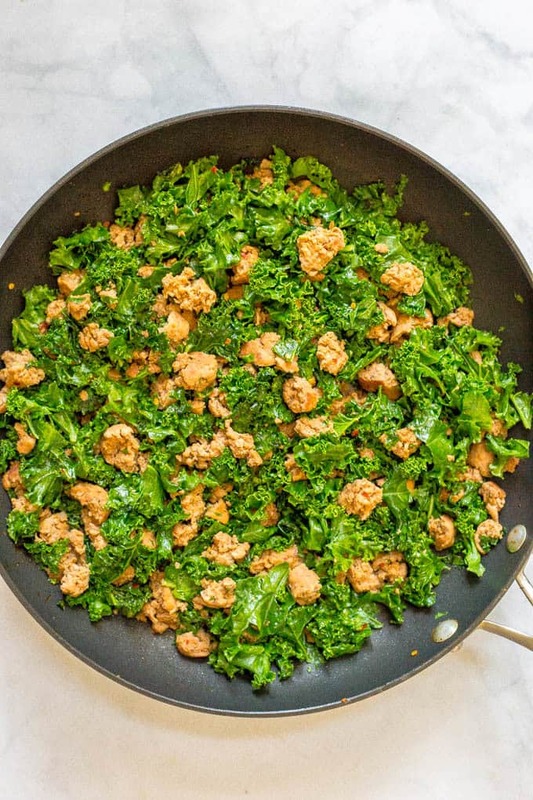 Reduce heat to medium, add chopped kale and stir until it’s wilted, about 3-4 minutes. 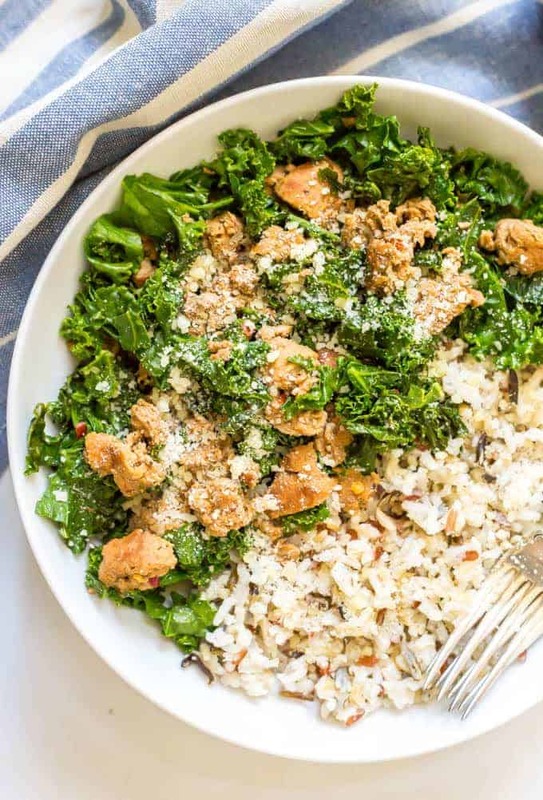 Serve rice in bowls and top with sausage and kale mixture. 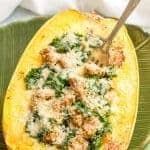 Sprinkle with Parmesan cheese, if desired, and enjoy! Aww! My fingers are crossed that both your cuties have a fabulous first day back to school!! 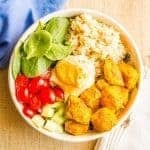 I love this bowl of yum, girlfriend! 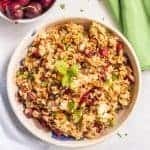 Easy, yet delicious and healthy, yet hearty! Totally winning! Pinned! Cheers, chicka! 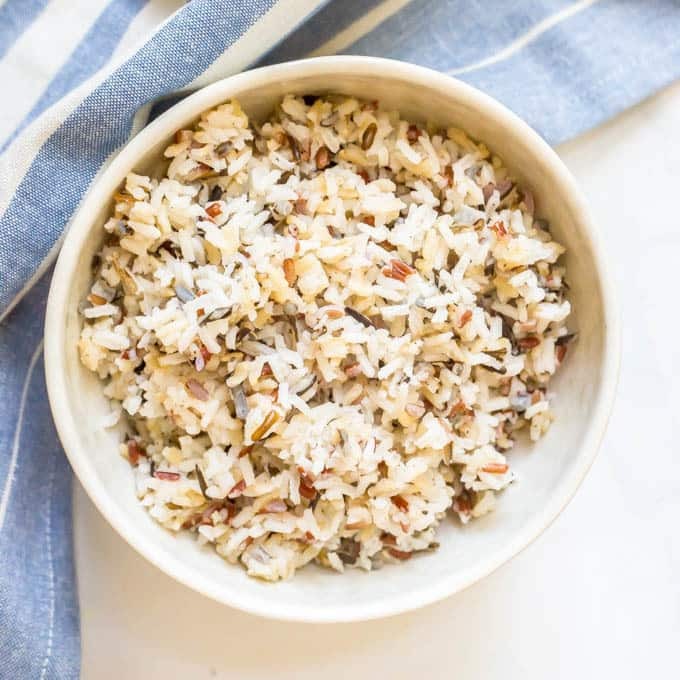 Love this simple and healthy recipe! 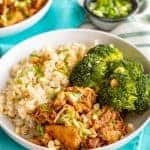 The perfect meal to transition from summer to fall! 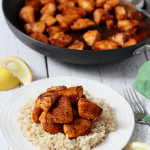 What a perfect weeknight dinner for summer! Looks great!